1 pint makes 9 pints. 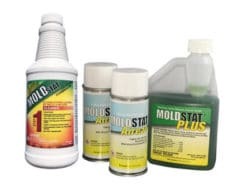 Use MoldSTAT Barrier mold removal spray for household mold and mildew removal. really have seen a difference in the kitchen where I saw this particular fungus was ‘pitting’ the countertop. MoldSTAT Barrier restored it to its original state so I know it is working! how many square feet does the Moldstat Barrier cover? 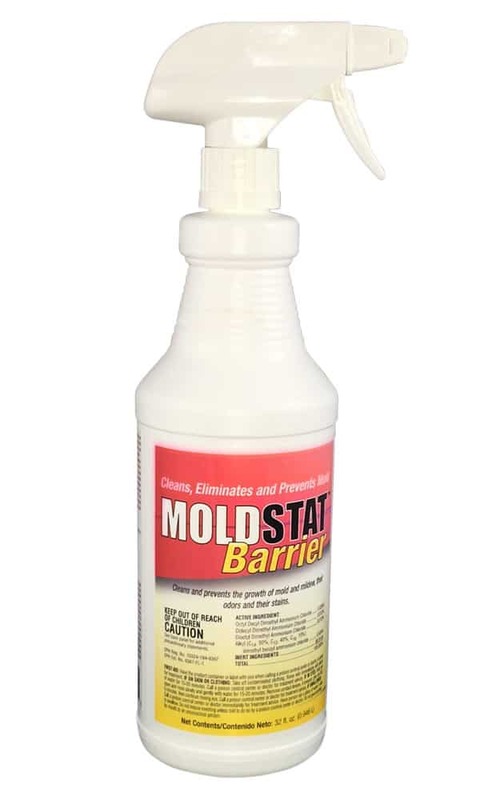 MoldSTAT Barrier is a Ready-To-Use 32 oz spray that can cover 100 Sq Ft of drywall, or 50 sq ft of Lumber / Concrete (because it is so porous). Can I use the barrier in my dirt under craw space? Can this product be used on an exterior aluminum storm door? Yes, MoldSTAT Barrier works on aluminum storm doors. 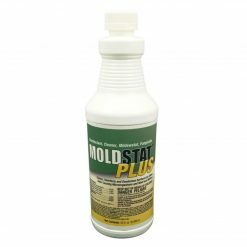 When do you expect Moldstat Barrier to be back in stock? You have been out of stock for a while. Also, do you offer pheromone CLOTHES moth traps? The new formula lasts longer, and comes in a concentrate that can be mixed 8:1. 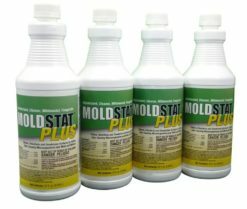 16oz makes over 1 gallon of Mold Prevention spray. MoldSTAT Protector – Barrier Concentrate is back in stock… Improved formula now comes as an 8X concentrate. 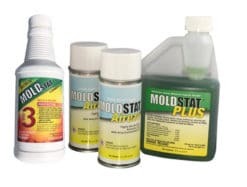 Prevent mold on more surfaces at a lower price, and without the wasted water, a reduced carbon footprint also.